Membership in the WRCC is open to anyone holding a valid amateur radio license. The annual membership dues are used to cover the cost of printing and mailing the membership Roster, the "Scuttlebutt" newsletter, web site and the Net Guide. Dues are based on a calendar year, may be paid in advance, and must be received prior to January 1st for new members to be included in the Roster for that year. Current annual dues for those with U.S. and Canadian mailing addresses are $16.00; for other countries, $21.00, payable in U.S. funds (Add $1.00 if paying by PayPal). 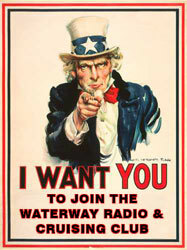 Please include your ham call sign on the check and make it payable to the Waterway Radio & Cruising Club or WRCC. Send checks to address, below. Applications may be downloaded in PDF format which can be filled out on your computer or in either Microsoft Word (.doc) or Html format using the links below. Alternatively, they can be sent to you via standard mail or e-mail upon request to the Secretary-Treasurer. If you do not have the Adobe® Acrobat Reader (required to read PDF files), you may download it for free by clicking the Adobe Reader image below. 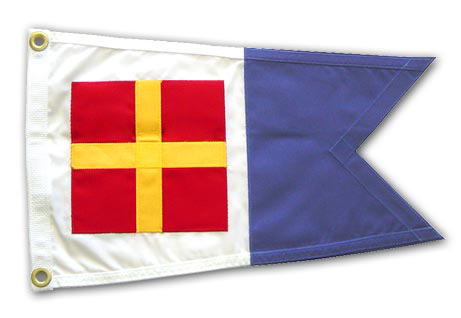 Half-price BoatUS Membership! WRCC members are also entitled to a full Membership in BoatUS for only $15.00 - that's 50% off the regular $30 annual dues! BoatUS Member benefits include rebates at BoatUS and West Marine stores, discounts at marinas nationwide on fuel, repairs, and overnight slips, on-the-water towing services, highly-respected marine insurance, and much more. Be sure to mention our Group ID Number, which can be obtained from any officer, or you'll find it listed in the Scuttlebutt newsletter. Spring 2019 Scuttlebutt in pdf format now available for downloading. You must have the proper password to access it. Also, you must have Adobe Acrobat Reader, or equivalent program, to view it. Enter password in the box, below, then click 'Enter'. If you did not receive the password, contact Jeanie, N4WFM. You must be a WRCC member. This password may change from time to time, so be sure you have the latest! If you are not yet a licensed radio amateur, we would be happy to help you get started. Information is available from the American Radio Relay League or ARRL and their website is an excellent source on licensing requirements and Getting Started in Ham Radio. You should also look over our section on special information that explains our responsibilities as amateurs regarding communicating with non-licensed operators.